Mr. Law is a trial attorney, specializing in complex civil litigation, with particular emphasis in health care litigation. 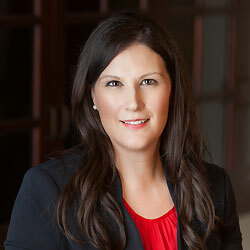 His active practice includes medical device, pharmaceutical, general product liability, medical malpractice, insurance coverage and other complex personal injury, property damage and commercial matters. Representing businesses as well as individuals, Mr. Law’s experience includes multidistrict litigation in federal courts as well as coordinated and consolidated litigation in state courts. Upon graduating from the University of San Francisco School of Law, Mr. Law was admitted to the State Bar of California in 2009. In school, he received the CALI Award for Excellence in Antitrust Law. In 2008, he served as a judicial extern for the Honorable Robert M. Takasugi of the United States District Court, Central District of California. 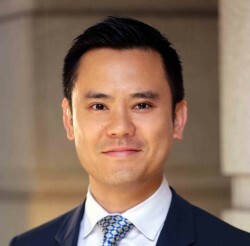 A native of San Francisco, Mr. Law is a member of the California Minority Counsel Program, the Asian American Bar Association, the Bar Association of San Francisco and the Association of Defense Counsel of Northern California, among others. In his free time, he enjoys playing basketball and golf, and volunteers his time as a youth basketball coach and as a mentor to law students.